The annual Olympia Master Builders “Tour of Homes” is an opportunity for builders to showcase their products while highlighting the latest innovations and craftsmanship. The homes represent the best that the community has to offer. Parthenon Pacific has participated in the Tour of Homes for the past four years. 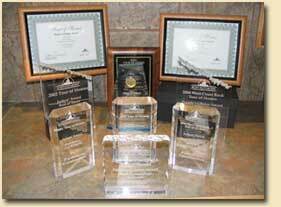 Each year we have been recognized for our building excellence.